Motherhood is by far the hardest “job” I have ever done. Life with mini humans is far from a walk in the park, and each stage brings its own challenges and stresses, as well as with each one of my kids bringing their own little quirks and personalities into the mix of family life. Life as a mother is also fun though and the best thing I have ever done; it is beautiful, and is rich to life, but with all great things comes a lot of hard work. Yes it really is hard and every now and then we certainly need a treat, a little pamper and an opportunity to rejuvenate from the stresses and busyness of it all. I truly love being a mum, but I also welcome these small breaks along the way when things have just been intense or demoralising, and where I can have some me time. 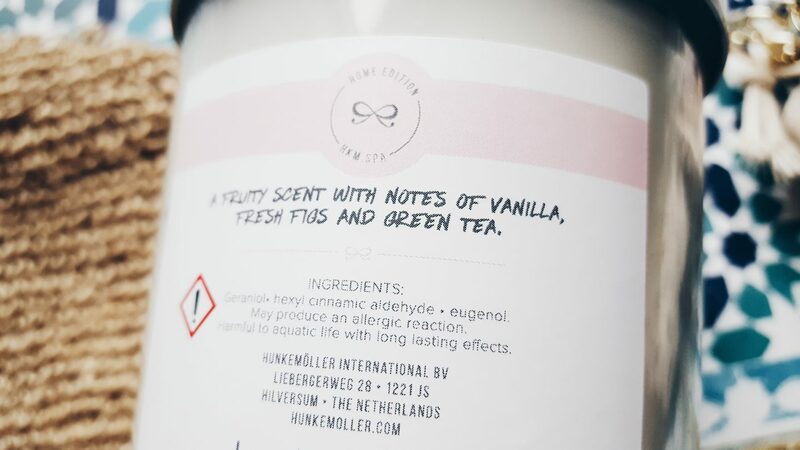 Whilst Mothers day is certainly about appreciation for the mothers in our lives, I think its also an opportunity to let them have a rest and a treat too (please Mr Smith), so I was delighted to be asked recently by Hunkemöller to try out some of their new wellness collection on the run up to Mothers day to unwind and relax in my busy mum life. 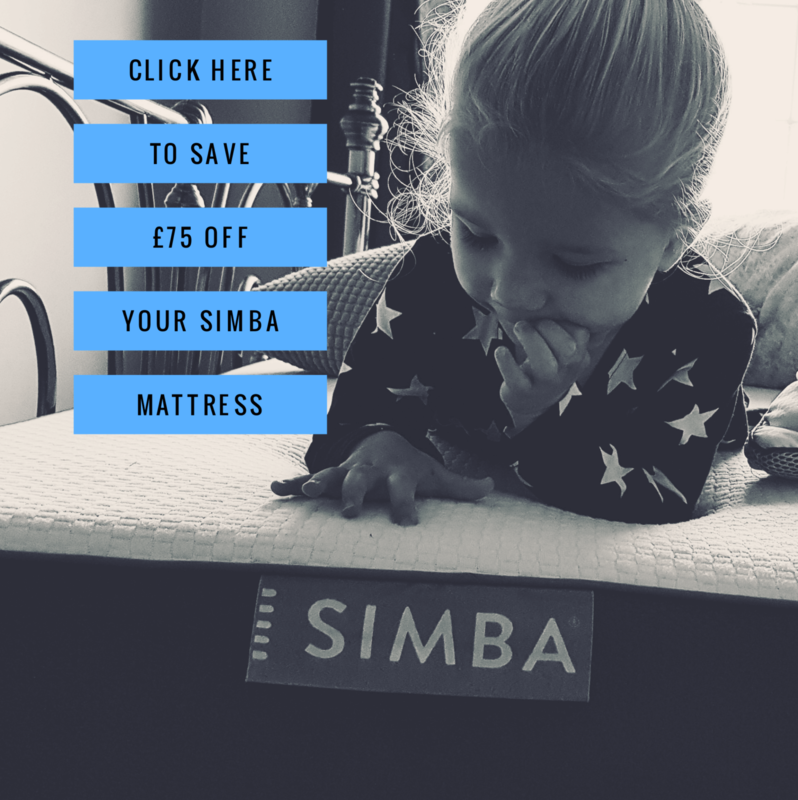 Prices start from £5.00 and run all the way up to £50.00 (with averages around a tenner) so there is something for every budget and is good value. 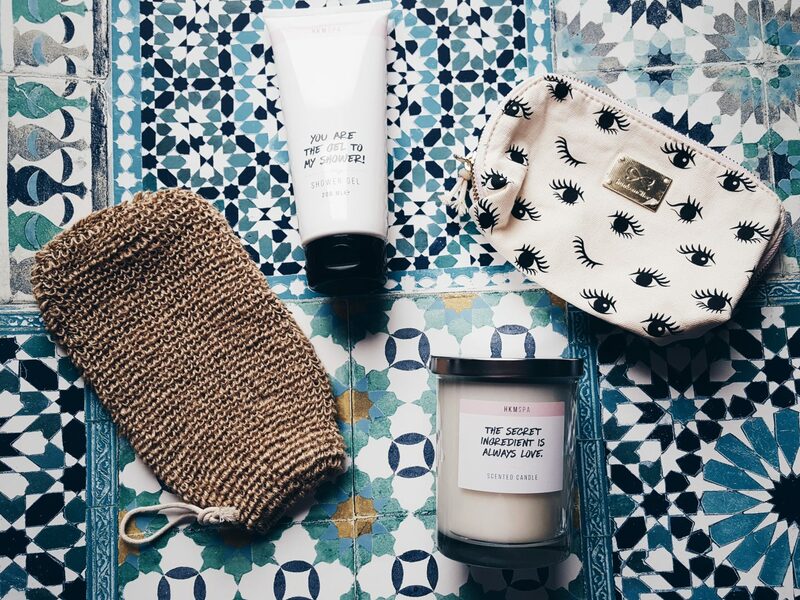 I chose things that really felt like my style and would make me feel joyful around a time that for me personally tends to feel sad, and so went with the eyes make up bag, The fig & Green tea Candle, Shower gel and scrub glove, and here’s why. 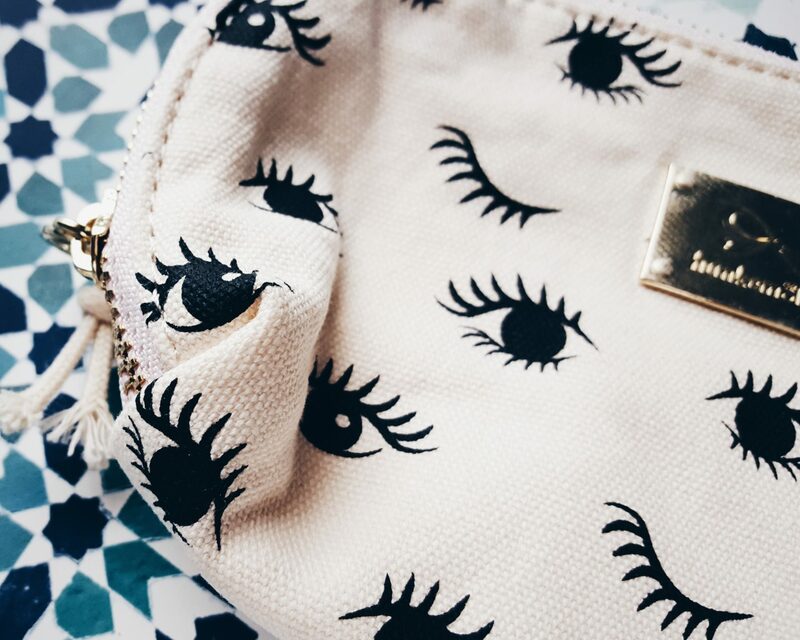 This make up bag caught my eye immediately (no pun intended) as the pattern was just so quirky and cool. Its different to anything I have seen before. It’s a little smaller than I hoped, but for £9 is perfect for the essentials to fit in most handbags for the funky mum in your life. 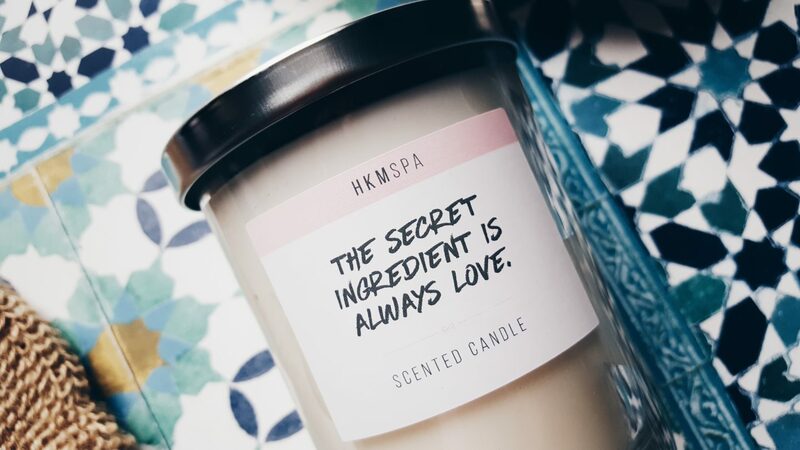 My oh my this candle smells A-MAZING and who doesn’t love a lovely candle for mother’s day? The scent is strong and a good one but by no means over powering. It will fragerence your home even when not lit and smells quality and fresh! I love that it is quite plain with a cute quote on it, meaning it will fit well in most interiors flawlessly. The scent really is divine and makes me want to close my eyes and drift off somewhere. I look forward to having this in my life and home. I love a good scrub in the shower, especially after those days that have been complete madness, and these items make for the perfect combo. The shower gel smells sweet and a bit posh (you can tell it’s from a spa range) and the glove has the right balance of softness to scrubby feel. I am happy with them both and together they are great to get rid of dead skin and leaving you feeling renewed and smelling like a lovely soft mummy flower! For £15 I think even these together make for a lovely quality gift for someone! There are so many pretty things available at Hunkemöller for mums to have a little treat and pamper this Mothers day. I would say their stuff is perfect for younger stylish mums (like me? ha), as the little quotes and quirky prints make them feel really cool and a bit trendy. Other things I would have loved are the Spa slippers – Hello!I think they’re just so cool for the summer and a little bit different! 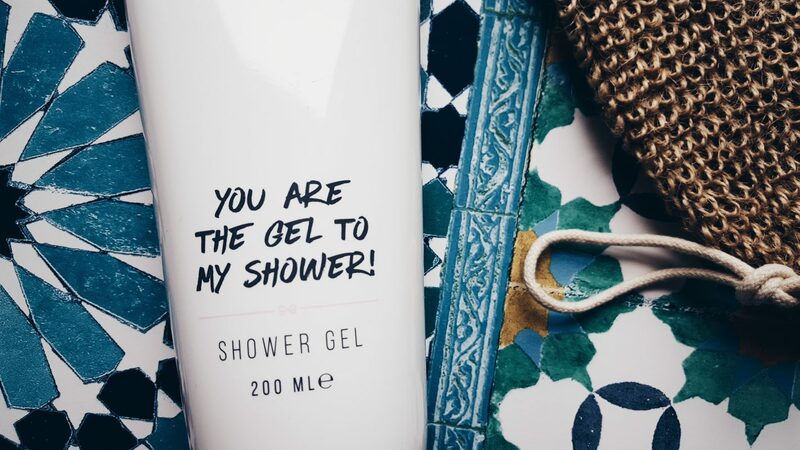 Also it would be the scrub & moisturiser to go together with the shower gel – it all smells so nice I think the whole range would just be so lovely for a full on pamper. So whether its Mothers Day you just want to get them something for a birthday or anniversary, Hunkemöller has some beautiful and pretty things for lovely ladies across the board and especially in their wellness collection. *Thankyou to Hunkemöller for gifting these items to me for a mother’s day treat in return for an honest review. Pictures and thoughts are all mine minus the last one! Kim Carberry recently posted…Ten Ways I Am Rocking Motherhood! I love the make up bag!